As the number of Model 3s that are produced increases week by week, thousands of people literally wait for their turn and invitation to arrive at any moment. 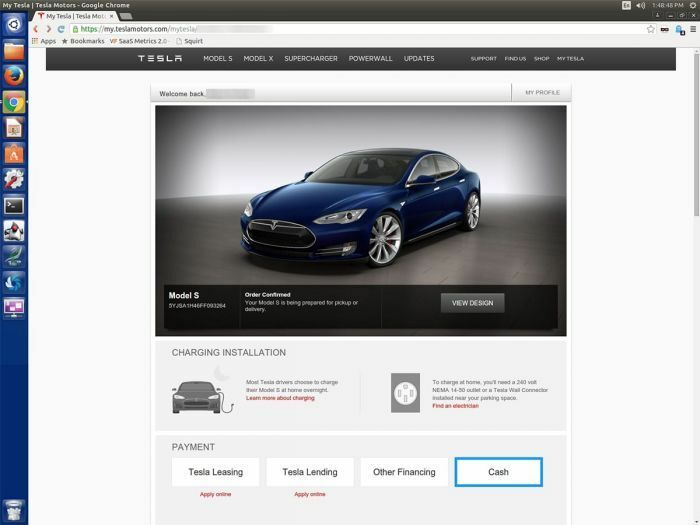 Many of them sit at their computer and frequently refresh the Tesla's page hoping to get the configuration screen from Tesla. If you are a Model 3 reservation holder and wait for your invitation to come, you need to refresh your Tesla account page. And apparently a new wave of invitations has begun for thousands of people who made their Model 3 pre-orders two years ago and have been patiently waiting for their car to arrive. "I refreshed my page and I got configuration option! It's actually happening! NJ / 11am In-Line," reports a Reddit user bambammvp00 under a discussion that actively started today about the new invitations that are being sent from Tesla to Model 3 reservation holders. "Same here! NJ, day one ordered around 12:30 pm. Now to decide between the Model 3 and the X," writes another user. Other people are also excitingly reporting that they just checked and now they can configure their Model 3. There is even a special "The Official 'Invite & Delivery Status' Thread" at Model 3 Owners Club discussing the new invites. The number of people who reported receiving invites yesterday and today has grown. Got a delivery date today as well!! Next Wednesday; snagged up the earliest appointment at 10am! Finally! I have delivery date! I'll be taking delivery in Tysons VA on April 21st. Theoretically I could take delivery earlier, but I travel a lot for work, so that was the earliest I could do. Can't wait! Here is another. I just checked and now I can configure. Dallas, Non-Owner, First-day reservation around 12 PM local time. Please check your account. The increase in invitations shouldn't be surprising. Since February Tesla Model 3 deliveries have been improving. It's true that Tesla didn't meet their 1st Quarter targets, but investors reacted positively to how Tesla has notably improved the Model 3 delivery rate. Yesterday Torque News reported that Tesla registered about 4000+ VINs. This morning we reported that it registered another batch of 3,000 VINs. Thus, it's not surprising, but rather expected news that we hear about more invites going to those who made their reservations two years ago for Tesla's mass market Model 3. Congrats to anyone who has been able to configure their Model 3. Now additional patience will be required for these future owners while anxiously waiting for their new car. If you have received an invite, please share in the comments section below. How did you configure your Model 3 and how long is your wait time?